Working whilst you travel is a great way to help fund your travels, develop new skills to boost your cv and even test the waters of a new career path. The options available to you are generally restricted to where youre headed and what work permits exist for non-natives. If you are planning a working holiday and travel it is essential that you possess the correct visas or working permits prior to entering the country in order to work legally. 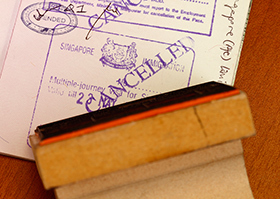 Participating in any paid work abroad, without the correct documentation in place is illegal. If youre an EU citizen, finding paid work in any EU country is relatively easy; perhaps the main difficulty is getting to grips with a foreign language. USA, Canada, Australia, New Zealand and Japan all have working holiday visa schemes for British citizens, but there are restrictions, especially with regard to age. Unfortunately in developing countries in such as Thailand, Brazil and Kenya, there is very little paid work available to foreigners apart from teaching English abroad which requires a TEFL qualification in order to be paid. Alternatively, there is a wide array of volunteer work available with the possibility of earning a modest wage to cover your daily living expenses.